Professional photography is one among the most desirable dreams of all people because photography is the only thing which will let you connect the nature and different things present in your surroundings. For a professional photographer, one needs to be dedicated towards photography skill and training. But what if we add some of the pre-captured effects in the photography of yours? You will get stunning photographs with eye-attracting creativity. That’s why Adobe brings out this most popular and composite software which is named as “After Effects”. This software is used by millions of photographers from all around the globe and this software has evolved out to be a very good choice for all professional photographers. The creativity and enhancement which this software provides to its users are just magnificent and no users can deny this fact. The graphic user-interface is so brilliantly developed by the developers of Adobe so that anyone can use this software hassle free without any problem. But what if some users cannot afford to buy the premium subscription of this software? Just don’t worry at all because our experienced team of technology specialists is dedicated towards this issue and that’s why we are able to sort out the top 8 video editing software much like After Effects so that you can focus on your photography skill, not money. The software which we are going to list is much similar to After Effects in the interface and running. So, please don’t wait and choose the best alternative one to After Effects from the list for your personal use. 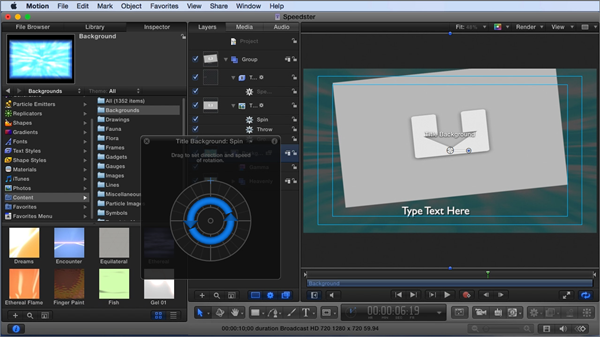 This software is an After Effects alternative for Mac users. With more than 300 different filters and advanced tools, Apple Motion has emerged out to be the second pick for users as far as the video effect is concerned. With a lot of 3-D and 2-D effects, this software will definitely enhance your photography skill up to a certain level, which will make you a professional for sure. There is a separate section present inside this software which helps you convert video files to GIF images. The free features of this After Effects alternative software are also giving a very tough competition to Adobe. So, it’s definitely a primary choice for all users. Tip: In addition to the video-to-image conversion mentioned above, sometimes you need to extract your favorite BGM from a certain video, so you can use Gihosoft Free Video Converter to conduct this task. The DVD burning feature of this video converter tool gives users the ability to burn numerous videos to a blank DVD disc with high output quality fleetly and play it on any DVD player. Besides, for a Mac user, one can also use the more relevant DVD burner especially for Mac. With a neat and clean simple user-interface, Wax is another most used software just like After Effects, and it can let you edit all your favorite videos and pictures. The real-time effect will let you preview the actual effect at running time, which will make it easier for users to choose a particular effect they need. Have a try and you will like the working of this software for sure. 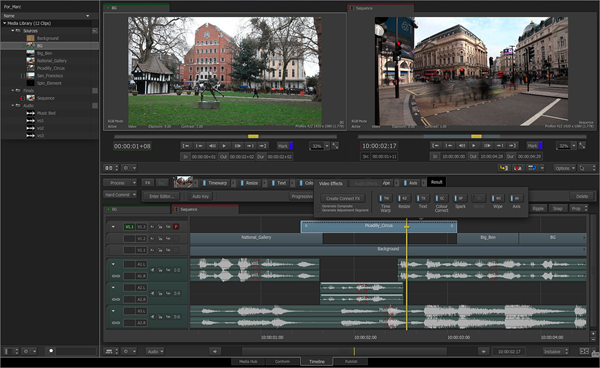 This free video editing software for PC is an After Effects alternative for Windows and Linux operating systems. So, if you are a Mac user, then please decline this option because it won’t help you out in any manner. The visual and 3-D effects offered by it can be used for commercial purposes hassle free. Every new visual effect offered by After Effects comes on this software in very less time and frankly speaking, this is the main reason to place this software in the third spot in this list. Both Windows and Mac users can use this free alternative to After Effects seamlessly without any issue. The presence of the timeline and preview window in this software is really an amazing thing which users like the most, making their job easier to choose the effect they want to use in their photographs. The output file can be downloaded in the screen resolution of your choice and in the file format of your command. 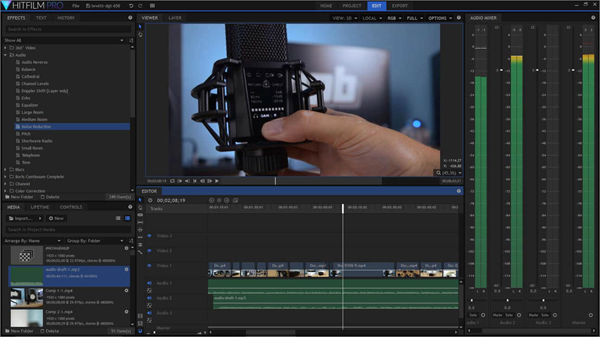 This video editor software is among the race in which After Effects is giving a very tough competition. That’s why HitFilm is a must try for sure. This software can behave as a perfect substitute for After Effects. 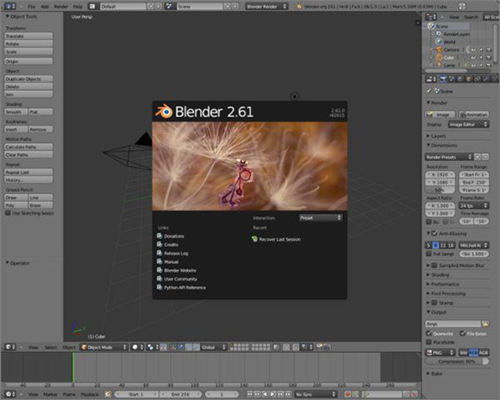 Unlike the After Effects software, Blender doesn’t require any subscription charges. 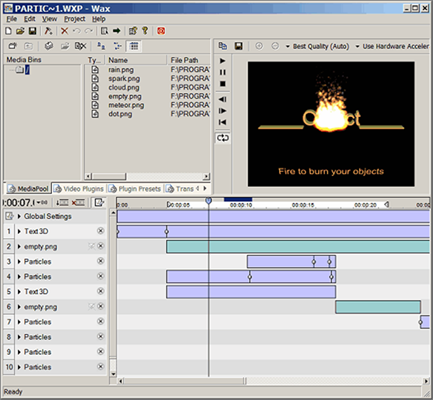 According to Google trend reports, this software is the most searched video editor software for a particular time gap, which clearly defines the popularity of this software among users. With over 200 3-D effects, this software will help you out to improvise on the visual effects of the photography. So, it’s definitely a pretty appealing software for users. 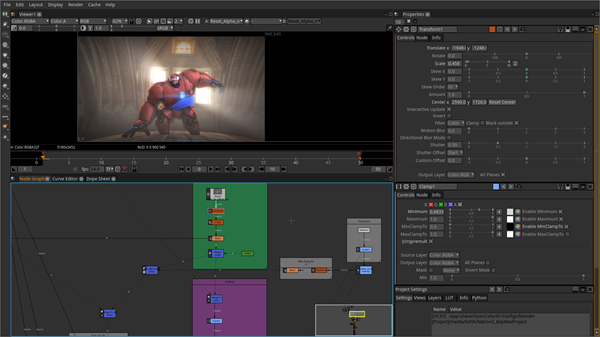 As an alternative to After Effects, Natron is compatible with Mac/Windows/Linux operating system. This software will never create any trouble for you because this software is developed by a brilliant team of different software developers who focus to improve the experience of users. The new graphics and effects available on this program are really very amazing and one thing for sure about this software is that any user cannot stop himself/herself using Natron after the first use. The compelling feature of this software is really an amazing part of this software. This free After Effects alternative software for Windows and Mac is developed by Github which is a very popular company among users. Many users use this software for their personal purposes and still, most of them are using NUKE to create visual effects. NUKE was considered as one of the top contenders for After Effects software, but in the past few times, NUKE has lost its dominance over other packages in this section. This is because the purchase of copyright requires a high allocation of funds. 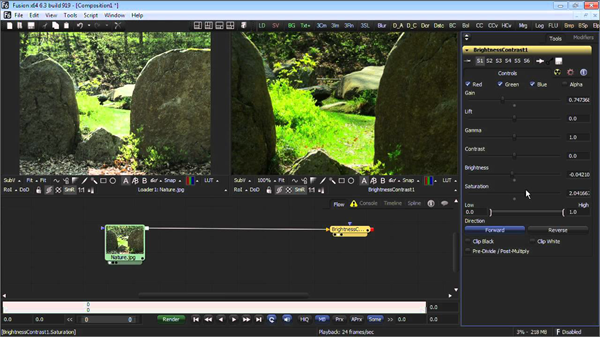 However, we still recommend our users to use NUKE as this software still has various visual effects and other effects. Users can access the 30-Day free trial of Autodesk Smoke, but after this period of time, you need to pay the subscription charges. And we don’t recommend to pay almost 1500$ per year for a visual effect creator software. You can use several other software which we have listed above for your personal use. Autodesk Smoke is much popular among the teen students who want to become professional photographers in the future, which is why we put it in the last position. 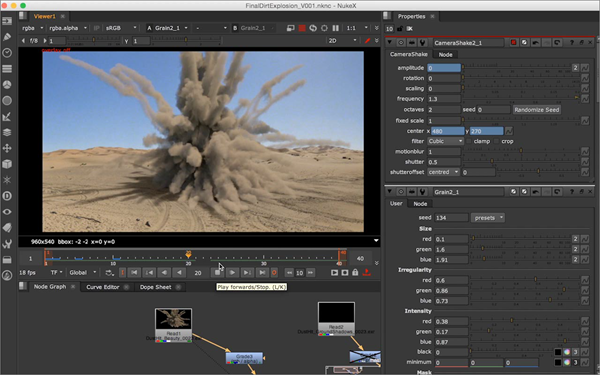 Here are the top 8 After Effects alternatives for Mac/Windows/Linux. We hope that you will surely like them and pick one of them for your personal use. Finding the software stated above which is like After Effects is not an easy task, but these software packages will surely help you out there. Welcome to submit your suggestions and feedback to us in the comments section below.